Product Empties Volume 4 | Vanity and Everything in Between. As mentioned on my last Product Empties post, it's hard to finish products in one month's time. I salute those people who are able to post their monthly product empties (and they're usually more than 5 products!) because srsly, how do they do that?! LOL! 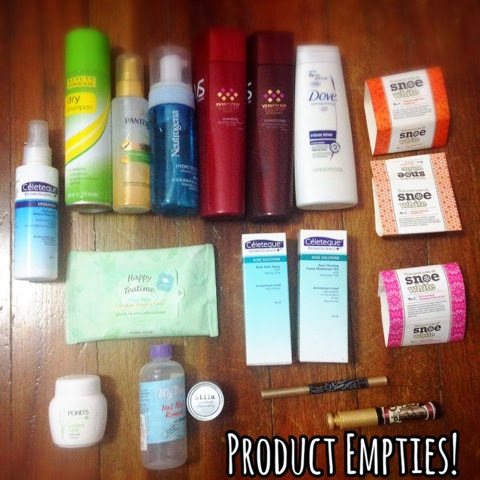 So, here's my product empties for the first quarter of the 2014! If you ask me, I still don't think it's a lot. You'll know why after the jump. #1 Celeteque Hydrating Moisturizing Mist - this has got to be one of the few products that I really like from the brand. I got this from BDJ but I wasn't able to finish the product because it expired when I was halfway through the bottle. I like this because it really does moisturise my face all day even if it's a mist. I use this mainly when I'm using BB cream since when you combine BB cream with a moisturising lotion/cream/gel, they tend to form particles when you start applying BB cream. So, this mist is perfect for that! This is in my to-buy list although it can wait as I still have 3 bottles of moisturisers to finish. #2 Beauty Formulas Dry Shampoo - I never got around to using this product that much as I love to shower. Give or take, I probably used this less than 20 times only. That's why I got confused why it seemed empty when I tried to use it again. This dry shampoo is really affordable at less than PhP150 and this can be bought at the supermarket, too! The scent is okay although I can't really describe it. It's fruity and flowery at the same time! #3 Pantene Silky Smooth Care All Day Smooth Miracle Water - I had mixed thoughts before I started using this product. Firstly, I don't really use a leave-in conditioner. I'm really fine without it. Secondly, a few people that I know that have used this product said that this turned out flaky on their hair making it seem like they have dandruff. Que horror. After a few months of stalling, I finally decided to give it a try. Luckily, the leave-in conditioner didn't turn out as flakes. I like how this feels on my hair because it makes my hair really soft. I only use two pumps for my entire hair. I tried using about 5 pumps and my hair turned so soft it looks limp. So, just make sure that you only use the right amount to avoid sporting a limpy hair. #4 Neutrogena Skin Care Hydro Boost Mousse Cleanser - I've had this cleanser for a while, almost two years actually. I never finished the product though because I kept on changing my skin care regimen every month and this cleanser always took the back seat. When I saw that it was expiring soon, I used it again daily. I love using this product though because the water turns into mousse making it easier to rub on my face. It is an effective cleanser even though it's mousse. I was actually surprised that it can really clean my face. However, I find this pricey for a cleanser. #5-6 Vidal Sassoon Shampoo & Conditioner Premium Color Care Series - I got these full-sized products from Sample Room. 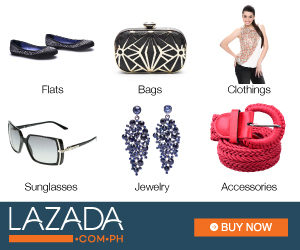 Vidal Sassoon made a comeback to the Philippines last year. I've used this brand when I was a kid but I didn't care about my hair then. Now, that my hair is dyed, rebounded, and practically chemically dead, I thought the Premium Color Care Series is a perfect fit for my hair. I love how my hair feels when I am using the shampoo and conditioner. The smell is so lovely and it still smells good even after I run. I actually don't mind buying this again even though I it a bit pricey for PhP199/190mL. #7 Dove Shampoo - When I emptied the Vidal Sassoon shampoo and conditioner, I randomly saw this Dove shampoo in the bathroom. There was still a few left so I used it and I emptied it in 4 days. I love this Dove shampoo since the first time I used it back in 2012. I love the smell of it more than Vidal Sassoon's shampoo actually (and I'm already in love with the scent of VS)! I bought the biggest bottle of the shampoo and conditioner and it makes showering in the morning even more refreshing! #8-10 Snoe Beauty Organic Bar Soaps - I bought these bar soaps on sale, 6 or 7 bars for PhP500++ only. 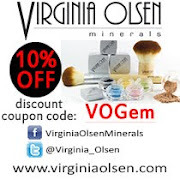 There were phasing out some variants of the soap to make way for the new soap products. This bar soap retails for PhP139 if bought individually. Honestly, I find that expensive for a soap. But then again, this is an organic soap and anything organic is usually pricey. Most people use these bar soaps on their face only but I used these bar soaps strictly on my body. The first three bar soaps I used had whitening properties. Did I turn whiter? No, not at all. This bar soap also softens and melts easily so better place it in a dry soap case so you can get your money's worth. Let me know if this soap made your skin lighter and whiter if you've tried this. I'd like to know! #11 Majolica Majorca Lash King - I bought this when they put this on sale for PhP499 in SM Makati. I bought my first Majolica Majorca Lash Expander mascara in Hong Kong and I was so happy with it. Lash King has been in my lemming list since it was released but I didn't want to spend PhP800 on a mascara. So, it was a no brainer to buy this when they put it on sale. When I got home and opened the package, lo and behold, it was expiring in less than one year. The product was rather dry despite using it for the first time. Yes, it did make my lashes longer and thicker but I wasn't fully satisfied with it. I think it Lash King would have performed better if the product I got wasn't that dry. #12 Majolica Majorca Perfect Automatic Liner - can I just say that as we speak, this is probably the only eyeliner that I hate? It might be a very strong word to use but I could never get used to this eyeliner even until I emptied this liner. It could be runny at times, too. But if you're looking for a really black liquid eyeliner that stays put the whole day, then this could be your bet. It stays on your lids for more than 24 hours. It doesn't smear nor transfer yet it can be easily removed by a makeup remover. I gotta say, those factors are amazing. I just wish applying this is a breeze, too. #13 Celeteque Acne Clearing Facial Moisturizer Gel - this product doesn't work on me. 'Nuff said. #14 Celeteque Back Acne Spray - another Celeteque product that doesn't work on me. Fail. #15 Stila Natural Finish Oil-Free Makeup in D - I love love this foundation. It has a thick consistency so you only need a little to apply on your face. It can even conceal some blemishes given it's not so red and swollen. I only got a Mini of this product as I bought a Stila set in Sephora. When I checked the price of the full-sized product, well, it's still expensive. I don't remember the price but it's around PhP1500-2000. If I'm not saving up for something, I would have bought it in a heartbeat. I'll buy this again maybe early next year. After all, I still got a lot of foundation to finish. #16 My Nails Nail Polish Remover - this polish remover is acetone free. I don't know what's up with nail polish removers with acetone why makers came up with acetone free ones. I had a hard time removing my nail polish with this remover. #17 Pond's Cleansing Cold Cream - this product is so effective in removing make up. What makes this a true winner is the fact that it's less PhP150 and yet you can see your makeup melting you when you use this to remove your makeup. This is my HG makeup remover! #18 Etude House Tea Time Makeup Tissue Remover - for lazy nights, I use makeup tissue remover. This tissue makeup remover from Etude House is effective. One sheet is enough to remove your entire makeup. If you're wearing heavy eye makeup though, you may have to rub the tissue a few times to fully remove the makeup. I love finding out something new to try in your blog. I am adding the Celeteque Mist on my to buy list. Do you use it to replace your moisturizer like before applying the BB cream? Or after the BB cream? Thank you!